These workshops focus on building teachers’ content knowledge while engaging in inquiry-based activities and model lessons. Each workshop is grounded in historical research and includes primary sources gathered from our vast museum and library collections. Learn how Europeans “filled in” their world map through maritime exploration, and consider how the region of New York fits into this centuries-long story. This workshop includes materials from our New World-New Netherland-New York curriculum and pairs well with our Dutch New Amsterdam and British New York workshops, also listed here. New York was the capital of American slavery for more than two centuries. Trace slavery through artifacts and primary sources—along with life stories from our Slavery in New York curriculum guide—from the arrival of the first enslaved Africans in the early1600s to its abolition in New York State in 1827. Get to know the residents of Dutch New Amsterdam, including European colonists, enslaved Africans, and native peoples. Through the exploration of historic documents—many of which have never been seen outside of our Library—explore how these different groups learned to co-exist. This workshop includes materials from our New World-New Netherland-New York curriculum and pairs well with our Age of Exploration and British New York workshops, also listed here. Discover New York’s colonial past by focusing on the experiences of those who are often left out of the historical narrative: women, children, and enslaved Africans. This workshop includes materials from our New World-New Netherland-New York curriculum and pairs well with our Age of Exploration and Dutch New Amsterdam workshops, also listed here. From sowing the seeds of rebellion in the mid-18th century to serving as a British stronghold during the war, New York City played a critical role in the American Revolution. Using objects, images, and documents, piece together New York’s contributions to the American Revolution and consider its critical role in the founding of our nation. This workshop includes materials from our Battle of Brooklyn curriculum guide. Explore the contributions of women who helped develop our young nation in the tenuous years between the American Revolution and the War of 1812. Centered on the story of Dolley Madison, wife of the fourth U.S. president James Madison, this workshop incorporates the experiences of women from multiple social and economic classes and highlights the resources in our Saving Washington curriculum. In the decades before the Civil War, a surprising number of women ignored the strict rules about female behavior to lead and energize the era’s reform movements, especially abolition and women’s rights. Using materials from our Saving Washington curriculum, uncover the stories of women who balked at the social norms of the time and embraced a life of rule-breaking and activism. The 19th-century sugar trade was a tangled web of people and processes that spanned the Western Hemisphere. 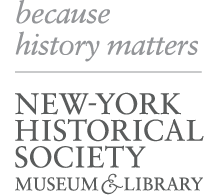 Using materials from our Nueva York: 1613-1945 and Slavery in New York curricula, learn about the financial and human cost of New York’s sweet tooth. Using primary source documents, uncover the story of this 19th-century village of free African Americans and Irish and German immigrants that was razed for the construction of Central Park. Following the document study, enjoy a guided walk through Central Park to search for evidence of the forgotten community. Abraham Lincoln owed much of his national political success to New York. Yet his relationship with the city, beginning with his Cooper Union address in 1860, was tenuous at best. Learn how New York shaped Lincoln’s career and how his policies shaped the city. Civil War-era New York struggled to balance contradicting priorities among business, labor, and abolitionism. Explore evidence of our city’s “Pro-Southern” past and learn how these contradictions contributed to the bloodiest civil uprising in our nation’s history. Through the analysis of political cartoons from the late-19th and early 20th centuries, consider how public attitudes toward immigrants changed over time and how these attitudes both reflected and influenced immigration policy. This workshop seeks to answer the question, “What does it mean to be American?” Using the rich primary sources, valuable secondary texts, and supporting videos within our Chinese American: Exclusion/Inclusion curriculum guide, explore the profound impact of Chinese American history on U.S. laws, policies, and attitudes. Learn about the long overlooked story of Tiffany Studios designer Clara Driscoll and the uncredited “Tiffany Girls” to deepen your understanding of women’s lives, roles, and experiences in turn-of-the-20th-century New York. The in-museum version of this workshop includes a guided visit to our dazzling Gallery of Tiffany Lamps to see the women’s exquisite handiwork in person. Women secured the right to vote after decades of persistent activism. Through primary source analysis, unpack the arguments and the actions these advocates—and their detractors—used to achieve their goals. World War I had a profound impact on the relationship between women and war. Through the study of our collection of beautiful and powerful propaganda posters, consider how women were called upon to serve their country and the roles they played in the first modern war. When World War II broke out, New York was a cosmopolitan, heavily immigrant city whose people had real stakes in the war and strongly held opinions about America’s participation in it. Explore the war’s impact on the metropolis through a study of the materials in our WWII & NYC curriculum guide. Deepen your understanding of the civil rights movement by considering it in a greater historic context. Analyze photographs of the 1965 march in Selma alongside other primary sources from the centuries-long fight for racial equality. Designed specifically for educators in the K–5 classroom, workshops in the New York Then & Now series emphasize the use of primary sources with our youngest historians. Explore the history of our community—New York City! Through historical images and objects, study the roles of different community members and discover how their lives and work have changed over time. Read the life stories of multiple families across centuries of New York City history, and consider how the challenges and triumphs they faced mirror the experiences of our students’ families today. Examine 19th- and 20th-century objects, images, and maps to consider how public and private transportation has changed in New York. Work together to build a timeline of transportation history that can be replicated in the classroom. Read descriptions for the Pedagogy Workshops.